Take and upload a photo of your entire area of concern. 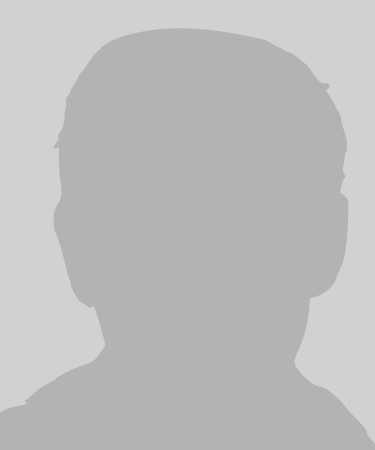 Use the sample image as your guide. I understand that I will receive confirmation emails to the email address disclosed as well as a phone call or text to the phone number disclosed to discuss my potential results. I allow Ultherapy and Merz North America to send emails to this address and to call or text the phone number. I voluntarily consent to provide my image to Merz North America, its business partners, and the Ultherapy provider I select when I use the Ultherapy simulation tool (the "Simulator") so that these parties may view and use the image. 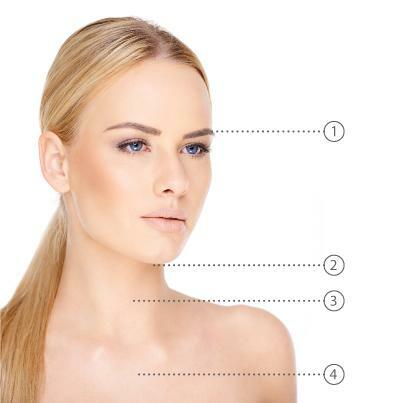 I understand and agree that: (i) Use of the Simulator does not take the place of a consultation with a qualified healthcare provider; (ii) For a more accurate evaluation, I need to consult a healthcare provider, who will recommend treatments based on my specific facial structure, age, and/or other factors; (iii) My use of the Simulator is at my own risk; (iv) The Simulator is provided “as is”, and without any representation, warranty, or condition of any kind, whether express, implied, statutory, or otherwise; (v) To the maximum extent permitted by law, Merz North America, Inc. and New Look Now (including their affiliates, and their directors, officers, employees, and agents) disclaim all liability for any damages arising out of my use of and/or reliance on the Simulator. SIMULATOR RESULTS ARE ONLY AN APPROXIMATION OF POST-PROCEDURAL RESULTS AND WILL POTENTIALLY DIFFER FROM THE RESULTS OF AN ACTUAL ULTHERAPY TREATMENT. 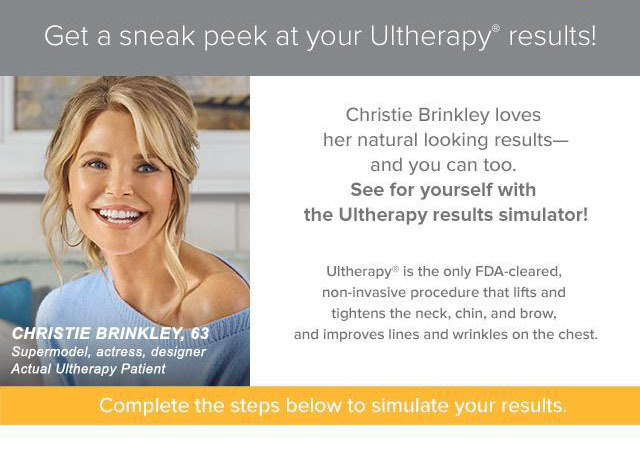 Receive updates about the Ultherapy® procedure!